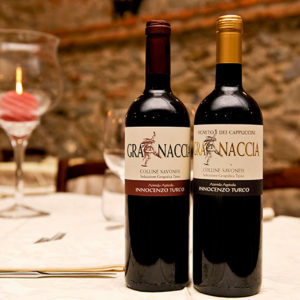 Agricultural holding Innocenzo Turco is located in Savona inland, and more precisely in the municipality of Quiliano. The estate covers an area of about 20 hectares, almost entirely on the hills with some flat areas. Most of the lands are characterised by woods, olive groves, fruit orchards and vineyards that produce the grapes used to make wine directly at the farm.